The first of series of “Cupboards” has been set to sale on auction on Dec 9th at Agra-Art Auction House in Warsaw. 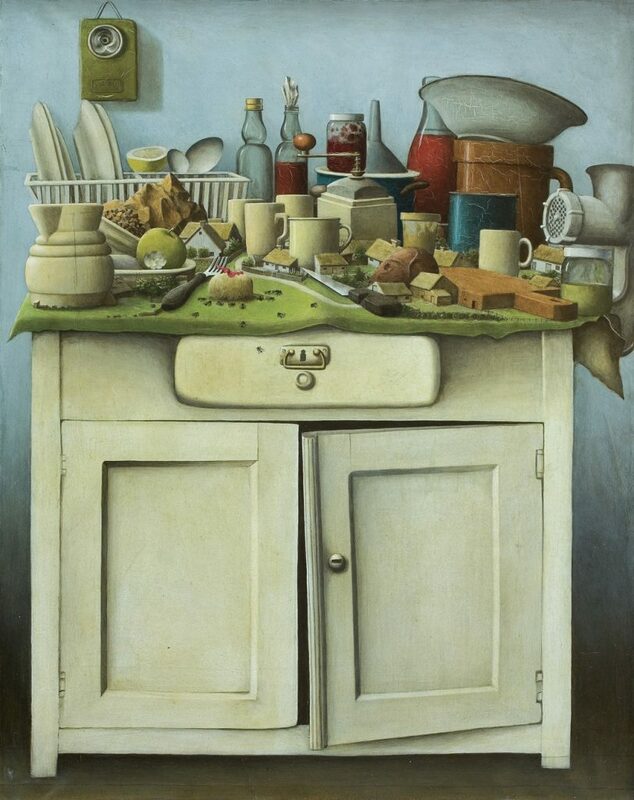 This particular painting started the series of “Wayside Cupboards”, paintings where magical cupboard, sometimes inhabited, plays main role. Since that painting, Yerka abandoned oil as medium and turned definitely to acrylic paint .